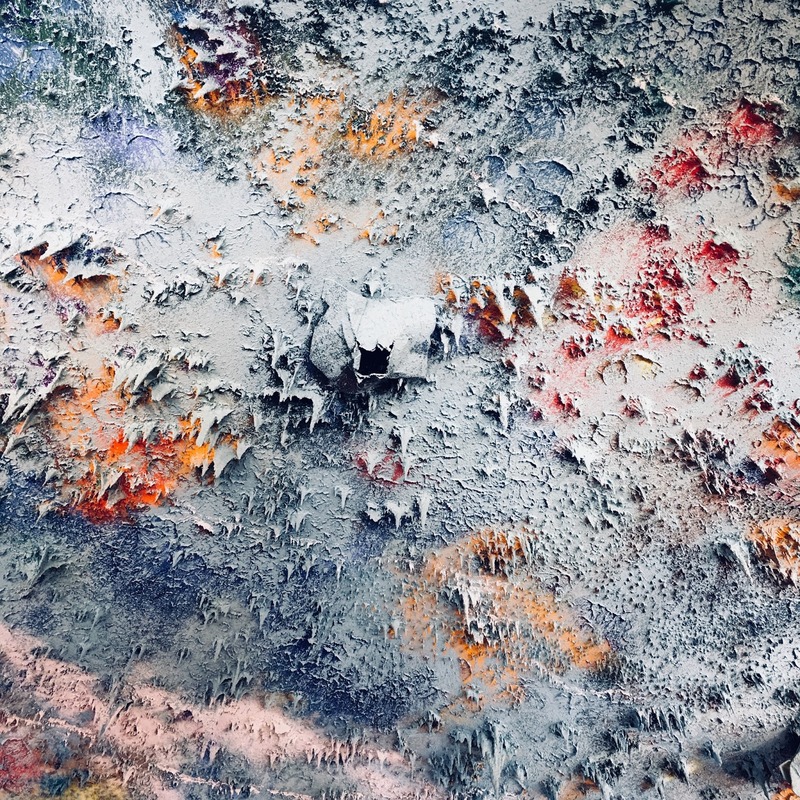 This post includes my thoughts on the third and last day of the 2017 U.N. Forum for Business and Human Rights, "'Connecting the dots' and 'calls for action: From Estates General to Governance Trade Fair and Back Again.'" In my reflections on the fist day of the Forum, "What is the continuing relevance of the U.N. Guiding Principles?" I though about how Forum presentations have begun to more clearly reflect the extent to which the politics, economics, law and society have been increasingly conceived in human rights terms. This represents both the realization of one of the great conceptual objectives of the UNGP, and to some extent the genius of its framing of the human rights project, and a substantial transformation in the language of governance. The great structural changes after 1945 that saw their great triumph in the structures of economic globalization effectively changes the baseline language of governance form that of politics to that of economics. It took more than a generation for academics and commentators to realize the shift, bound up as it was in the conflation of markets (the language of economics and efficiency and management) and democracy (the language of politics), yet became clearer after 1982 when even Marxist Leninist states began to speak of the driving force of socialist modernization (the language of economics) of political objectives. However, that language of markets and its ideologies of efficiency, of management, of accountability, and of data, required a morality that the older language of politics (that was itself centered on the organization of power) was unable to provide in any of the variations of the exhausted politics of the 20th century. That morality was provided by what had been a wisp of an idea that manifested as a set of principled ideals incarnated as the Universal Declaration of Human Rights (also celebrated at this Forum). It was produced as a template for incorporation (through superior law) into the domestic legal orders of states, yet derived its greatest authority as principle and ideology. The ideological battles of the 1950s-1990s made its incorporation into the political order (as law) at best contingent and partial. And yet it remained, as an idealized expression of a new basis for legal expression of political authority the darling of lawyers and law schools. To some extent, in the law schools, it still does. And because human rights was initially understood as a project of incorporation into the political sphere through public law, it appeared incompatible with the societally driven language and modalities of economies. In that sphere one spoke to philanthropy and to ethics, but not to human rights. To some extent, in the business schools at least, one still does. But the success of globalization, and with it the privatization of the state and the governmentalization of the enterprise (here) reshaped (and perhaps inverted) the relationships between economic and politics--and with it the centrally of human rights within those spheres. It was in the process of inversion and within the context of a maturing economic globalization that the governance potential of human rights could be realized. It is here that the genius of the UNGP was best expressed, as the recognition of the centrality of human rights to economic activity and of the centrality of economic activity to the organization of political life. By the beginning of the second decade of the 21st century what global economic activity already revealed became clearer--that it was increasingly necessary to make the human rights case for economics and politics, rather than the traditional approach that sought a business and political case for human rights. And that as well evidenced the reasons for the failures of the Norms on the Responsibilities of Transnational Corporations, and the difficulty of the negotiation for a comprehensive treaty for business an human rights, in this century; they both sought to embed the case for human rights in politics and economics at a time when that was already obsolete. These fundamental insights tend to be obscured in the necessarily pragmatic encounters that constitute the Forum itself. And yet they serve to drive those encounters, providing their vocabulary and constraining the range of the possible and the legitimate. This discussion was amplified in my reflections on the second day of the Forum, "What is to be Done? If my reflections on the first day focused on the way that the Forum spotlighted the new reality of the discourse of the organization of social power within which one can understand economics and politics through human rights, the second day focused on the way in which the Forum suggested the structures within which that human rights power is organized and exercised. Just as politics needed the state and was expressed through law; just as economics needed the enterprise and was expressed through the "law" of markets (in both capitalist and Marxist Leninist states); so human rights based organizational systems must find expression in some form and be organized institutionally through some mechanism. "But where law, economics, politics, society and religion are managed through human rights, then a different model is required. It is in that search for a new model, undertaken organically, one panel at a time, that the Forum serves to provide a glimpse of power relations grounded in human rights that are emerging." ("What is to be Done?). My reflections on the second day of the Forum focused on the way that the institution of the Forum itself pointed to both the development of the institutional forms within which human rights governance is being crafted and the necessary hierarchies that are developing develop within these institutions. The Forum itself reflects the fundamental notion of hierarchy and influence, the need constantly to "convene the right people" (Part 2: Strengthening access to remedy in multi-stakeholder initiatives). What over half a decade of Forums have now been making clearer is the emergence of the multi-stakeholder initiative as the institutional form within which the new human rights governance is being framed. The multi-stakeholder initiative is both a consequential element of the UNGP and the basis within which the governmental forms recognized within the UNGP--the state, the enterprise and the masses /through civil society organs)--can converge to engage in the business of governance that has as its framing structure human rights. "The end result is the construction of a system that can make use of traditional methodologies of governance, as well as emerging methods (big data, management, rankings, etc.) for the management of society in this emerging historical stage of human rights based globalized governance orders that respects the forms of old power holders even as it changes their "jurisdictions" and assertions of power." ("What is to be Done?). The three interactions governance communities that are recognized in the UNGP as the vanguard of human rights based governance, then, reframe politics and economics. One acquires hints of this reframing in everything from the focus of the Report of the 19th Chinese Communist Party Congress to the shifting of U.S. politics fro issues of state to issues (for the moment) of sustainability and gender rights. 1. Complexity. One of the most interesting consequences of the trend toward human rights based governance has been the equally notable movement toward complexity. That is both its greatest strength and its ultimate weakness. The strengths comes from its ability to adapt to context and its flexibility (e.g., Embedding respect for human rights in the Tokyo Olympics). Complexity is a necessary consequence of the operative structures of human rights based governance within globalization--human rights governance is the manifestation in rule systems of the markets based organization of human society (already reflected in politics and in economics). Markets for human rights governance approaches and solutions are a necessary element in the construction of systems based on making (and selling) the human rights case for politics and economics. And that is what emerges in the Forum events (e.g., Regional mechanisms as remedy–Case study of indigenous peoples affected by business operations; ). Yet contextual governance within a generalized normative framework can also cause substantial uncertainty. The power of prior systems of politics and economics were its organizational simplicity and and directness. One knew where to find the law and the source of economic discretionary decision making. One knew these things even as one might have despised their form and effect and even as one might have rejected the purported legitimacy of their normative foundations. Remedial complexity has its own special problems. Among the most important of these are replicability, an issue also considered in the Forum (e.g., Operational-level grievance mechanisms–making them work forworkers: lessons learnt from practice). 2. Coherence. Coordination becomes one of the great institutional challenges of governance systems built beyond the traditional power centers of state or enterprise. And, indeed, it is to issues of coordination that complexity might be made manageable. The difficulty is in identifying all of the "moving parts" and aligning them in a system that is grounded in context and flexibility. Some Forum programs brought that out even if unconsciously (e.g., Collaborative investor engagement on child labour in the cobalt supply chain). These lessons point to both the interests of the objects of human rights governance--individuals--and to the roles of each of the respective governance communities in their multi-stakeholder engagements in specific instances (e.g., Part 1: Lessons learned from efforts to provide remedy to victims of industrial supply chain accidents; Part 2: The role of trade unions). 3. Orthodoxy. There is a difference between coherence and orthodoxy. The former speaks to the compatibility of distinct systems (consistency, logical arrangement) and approaches to interact in complementary ways. The latter speaks to the fashioning of a single way of thinking and doing (along with the necessary power to discipline deviation). It is easy to move from coherence and coordination to orthodoxy in hierarchically arranged power structures. But one can ask whether any move toward orthodoxy in the case of human rights is inimical to its fundamental focus on the individual and the individual context. Beyond the broad principle, where coherence begin and orthodoxy end will remain a difficult problem (e.g., Human rights benchmarks: what they tell us about access to remedy; Part 2:Settlement agreements and international standards on right to effective remedy). 4. Reflexivity. If the central element of the new governance involves the tripartite engagement of the three emerging centers of human rights governance, then such governance mechanisms must be considered and refined within themselves and their own logic (e.g., Taking stock of UNGPs implementation efforts in Latin America). That reflexivity was also an element of the National Action Plan process, when broadened beyond the state (e.g., Part 1: UNWG perspectives; Part 2: State presentations; Part 3: Multi-stakeholder dialogue–How to make NAPs work in improving access to remedy?). 5. Resistance. Human rights based governance can be attacked at its weakest points, those points where the older governance communities still enjoy a certain amount of power. It is here that both states and enterprises serve as both vanguard and as the most potent reactionary elements of the move toward human rights based governance. (e.g., Remedying, redressing and preventing attacks against human rights defenders working on business and human rights; Addressing interference in access to justice: perspectives from the ground). But this resistance also involves the efforts of governance communities, especially states, to retreat to more ancient forms of power to control both discourse and operation of systems (e.g., Updates on the process of elaborating a legally binding instrument). 6. Competition. One of the most telling developments of the Forum itself is its power as a model. Within weeks of the convening of the Forum, with a quite prominent participation of the Chinese state, China hosted its own Forum gathering of state actors in which it sought to extend its own influence within the state based governance community. The UNGP, then, may fall victim to its own success. States ought to be much more humble in their assertions of authority to change the discourse of human rights, rather than contribute to their formation or application; enterprises ought to be less sure of their ability to evade or control the internal application of emerging norms and behavior sensibilities bound up in governance instruments; and civil society ought to be reminded at every turn that their is a fiduciary role rather than one that gives them authority to impose their own personal views in their representative capacities. 7. Polycentricity. The essence of shared responsibility models at the core of the multi-stakeholder initiative form strengthens the move from single source governance to polycentricity, coordinated through communication and mediating institutional processes. " Explore the advantages and feasibility of a ‘shared responsibility model’ towards mobilising joint remediation measures via multi-stakeholder collaboration. This form of remedial measures provides the potential for scale and impact by maximizing resources, as well as present opportunities for leverage to improve conditions throughout global supply chains. Propose a collective response that we call shared responsibility, in which global and local businesses, governments, international organizations and other stakeholders devise collective solutions and share the financial cost of facilitating remedial measures for some of the most entrenched human rights challenges in global supply chains (Part 2: Strengthening access to remedy in multi-stakeholder initiatives). 8. Division. At its height, the reign of politics in the construction of the state system produced a world divided between the family of civilized states and the rest. As between the states in the civilized family principles of equality and deference prevailed along with the highest forms of shared values. As for the rest, civilized states were permitted substantial interference, both to civilize and to manage (e.g., here). Likewise during the height of the reign of economics in the construction of the system f economic globalization, of the production chain as an institution of governance and control, produced a world divided between portions of states, enterprises and civil society embedded within these flows of global trade and the rest. As between states, enterprises and civil society in global production principles of equality and shared values prevailed nurtured through public private governance arrangements. As for the rest, they were either forgotten or served as a sort of lumpen proletariat to be exploited in the service of the ambitions of those within production chains (e.g., here). Now in the age of human rights governance there is a great danger of replicating this gross division between those who are subsumed within regimes of human rights governance and those left to the backwaters of governance. For every colorfully dressed subset of individuals brought to the attention of the members of the Forum and their organizations there are many who lie forgotten or dismissed. Meeting this challenge will require the reconceptualization of representation and the scope of institutional interest that is still very much a work in progress (e.g., here, and here). In reflections on earlier Forums I suggested the importance of the Forum as a sort of Estates General (e.g., here and here), a concept generally embedded in global relationships among governance actors (see, e.g., here). This centered the political and organizational elements of emerging structures of human rights based governance. The Forum thus served as a tip of a political iceberg of energing governance in which state, enterprise and mass power converged to develop norms for the behaviors of political, economic and mass-centered bodies in their relations to each other and to the object of governance--the pacification of the masses through the enhancement of identified human rights based criteria. But the institutional Forum has matured enough in its 6th iteration to show another an equally important characteristic--its function as a trade fair. To these ancient functions (compete with entertainment, e.g., Film screening: “Complicit”; Global Compact Network Russia), the modern trade fair adds the overlay of modern trade in goods, systems, governance and influence. The Forum appears increasingly as an important "festival site" and the necessary element of utility for the identification and deepening of hierarchy within the three governance communities, for the display and sale of governance "wares" (norms, systems, information, certification, etc. ), for the development of markets, and the for crafting of deals. The object of course is to rise in influence, increase sales, and better manage and control markets for human rights instruments. The turn to market behavior ought not to surprise. It is inherent in the foundations of economic globalization; it is at the core of modern macro economic policy, and it appears increasingly to be at the root of contemporary regulatory methods (e.g., here). And in the process strengthening allegiance to (and dependence on) the conceptual systems on which these markets are based and which serve as the foundation for the prosperity of these actors In the process, as well, the centrality of human rights as the normative "coin of the realm" is itself enhanced. Yet in a sense there is very little difference between the reference to Estates General and to Trade Fair. There is very little difference except this: Estates General focuses on the political dimensions of the constriction of a global governance system based on human rights. It s core element is the state duty to protect (Pillar 1) and its transformation as the societal and economic spheres themselves acquire a measure of political authority. Trade Fair focuses on the economic dimensions of this construction. Its core element is the corporate responsibility to respect (Pillar 2) now expressed in the language of the markets where, as globalization has made clear--regulation is itself a commodity whose production has privatized states and international organizations (law making factories) and governmentalized enterprises (corporate constitutionalization and the self organization of systems of non state law). The close connection between the two--between politics and economics--evidences the conflation that globalization has produced, atop of which an organizing principle (that is neither politics nor economics) emerges. Highlight key messages from Forum discussions on how to advance corporate respect for human rights and realize access to remedy for business-related impacts on human rights. Hear calls for action from diverse stakeholders on the need for speeding and scaling up implementation of all three pillars of “Protect, Respect and Remedy”. Present specific commitments for practical steps to prevent and address business-related human rights abuse, in line with the UN Guiding Principles on Business and Human Rights. The High Commissioner and the Chair of the Working Group sought to "connect the dots." Representatives from the key stakeholder groups that form of the core of the UNGP constituency were then provided a few minutes to challenge each other, and those in attendance respecting continued operationalization of the UNGP. The High Commissioner for Human Rights stressed the danger that the current critical juncture in history posed to the project of human rights, of which the UNGP constitute a part (though not apart). He made the business and social welfare maximization case for human rights and human rights enriched business conduct. He worried not about the advancement of the legal or social project of human rights but rather about the change in the cultural substratum that might produce a baseline that effectively rejects all of the structural premises on which human rights is built. While he remained faithful, as one would expect, to the primacy of the state (under the guidance of the norm producing international community), he did note the importance of the helpfulness that others--the masses, enterprises, and organized civil society--to the state duty to protect human rights. The Chair of the Working Group then spoke. He spoke to state based and private non judicial mechanisms as "gaining ground." But people continue to struggle in the face of abuses of rights. States must be charged to reduce barriers to remedy, under the guidance of the U.N. human rights apparatus. States, he noted, should lead from the front to ensure that they tackle the issues of production chains and their components. Human rights are essential preconditions for development. He stressed, all human rights for everyone. He tied human rights to sustainability. The collective attention of states is necessary to discipline enterprises--within a broader range of conduct, including, now, tax avoidance. Discrimination rose to the top of the priorities of the Working group. A gender lens for the UNGP, focusing on women, was an important objective. A similar lens was required for the rights of indigenous peoples with respect to the exploitation of their lands, and the protection of human rights defenders. Implementation of the UNGP, under the legal orders of states can be driven by lawyers. He stressed his hope for the construction of a network of human rights pro bono lawyers. He ended with the hope that the UNGP would eventually be taken more seriously. Each served their sector interest well, not just for themselves but as representatives of each of the classes of stakeholders they represented. There was a marvelous leveling effect to this process--states and indigenous peoples, enterprises and civil society groups, each driving change from their peculiar perspective. 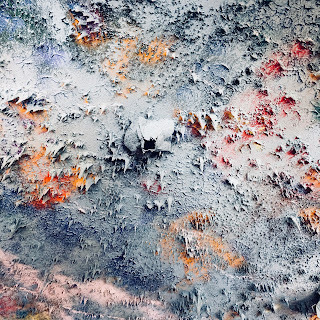 Like the ceiling of the spectacular formal meeting room of the U.N. in Geneva, the dot connecting and calls for actions produce a complex picture, which while all of its parts are rigidly attached to its space, together produce a variegated landscape of many parts, some quite distant from others. Liliana Hernández, chair of the indigenous peoples caucus at the 2017 Forum spoke eloquently to the difficulties faced by indigenous peoples at the hands of their governments, of enterprises and a legal-social system that obliterates their own. Senator Datuk Paul Low Seng Kuan, Minister at the Prime Minister's Department of Malaysia spoke approvingly of the UNGP project and proudly announced his state's roll out of a National Action Plan to be implemented with all due speed. He spoke as well to social enterprises--a rarity at this year's Forum and one appreciated in some quarters. Jean-Laurent Bonnafé, Director and Chief Executive Officer, BNP Paribas spoke of the efforts undertaken by enterprises that embrace their own role. He proudly pointed to the Bank's decision to strip tobacco from its investment portfolio )in ways that parallel decisions of some European Sovereign Wealth Funds). Christy Hoffman, Deputy General Secretary, UNI Global Union spoke to the gap between the affirmations of principles and implementation and offered some suggestions grounded in expanding the availability of legal remedies in the home states of apex corporations. She also declared a fidelity to the Treaty project. Sir Mark Moody-Stuart, Vice-Chairman of the Board, UN Global Compact spoke to the role of his organization and those like it to help set the tone and form the normative framework within which business could better align their behaviors. Mathilde Mesnard, Deputy Director, Directorate for Financial and Enterprise Affairs, OECD spoke to the utility of the OECD in the offering of their good offices through the NCP process and the Guidelines for Multinational Enterprises to effect real change, one grievance at a time. She was rightly proud of the work of her organization to make access to these mechanisms easier. as well as working on preventative measures to reduce the likelihood of grievance. A special address was made via remote technology by Mr. Pavel Sulyandziga, a Working Group member. He warned governments against turning in on themselves, like a boat all of the contents f which slide to one side, capsizing the vessel. He then spoke to the troubles of indigenous peoples, substantially suppressed and threatened with socio-cultural disappearance. It ought to be a global obligation to avoid that extinction. The indigenous community serves as a bell weather of our collective communities and their trials and dangers ought to be heeded. This was followed by closing remarks of Michael Addo who spoke to the great success of our successive forums. He agreed that this year's forum was truly successful and a step ahead of previous forums. He marveled at the size of registered participants--originally estimated at 500 and now well over 2,000. He noted that though the size of representation was great it was to those who could not come that the Forum ought to serve. In that respect those here serve in a representative capacity and owe a duty to ensure that their voices will also be held. He then thanked everyone for their work and contribution and wished us all well. This last day revealed in all of its grandeur the fundamental contradiction between the building of the technical machinery--the systems--necessary to administer a global order founded on human rights, on the one hand, and individual/institutional engagement, on the other hand. That is, the contradiction between system rationality and engaged internalized passion has solidified a disjunction between the ideals of human rights as a baseline organizer of human activity which generates passion authority and legitimacy, and the institutional technical machinery of human rights which for its operation in turn produces a substantial gulf between the objects of human rights (the impassioned masses) and a technocratic priestly elite within which the politics of hierarchy and power can sometimes hijack the system itself from out of its core focus. So what is to be done, and what role for the civil society sector? 1. The state sector remedial framework must be strengthened but only within its own logic. That requires two distinct projects for which civil society can play an important role. The first is a normative project. It focuses on developing some coherence in the substance of the state duty to protect human rights. The national action plan process is a good first step. But it is far too easy for states to hide behind generalities as they produce “feel good” hortatory documents that avoid the hard issues. Civil society might help states produce national inventories of national and international standards that are actionable within the jurisdiction, and then work to harmonize them among states within supply chains. In the absence of a globally coherent approach to the state duty, no amount of remedial power will substitute for a lack of normative obligations on the part of states. 2. The corporate responsibility must not be overlooked in the rush to develop the state duty. Part of The genius of the UNGP was its recognition of regulatory structures beyond the state and beyond public law. Civil society can play an important role in deepening the normative framework of those rules and then providing remedial mechanisms—beyond the state—for this responsibility and international norm based normative framework, one that is defined through the 2nd pillar and made subject to dispute resolution procedures through the 3rd Pillar. The third pillar serves to provide the coherence necessary to bind the law based state duty to protect and the norm based corporate responsibility to respect. The private sector ought to be encouraged to develop their own remedial structures. These ought to take two forms. The first focuses on internal corporate remedial structures. Civil society can play a role in providing the models and toolkits that aid business in developing workable models of normative principles that must be applied through corporate contractual relationships with downstream supply chain partners and through intra corporate governance rules, and implemented through dispute resolution mechanisms. These internal remedial structures ought to be suitable to the context but provide a way for civil society to intervene on behalf of affected individuals or communities. The UNGP emphasis on transparency, monitoring and reporting makes such opening up of the remedial mechanism compatible with the basic working of human rights due diligence. The second focuses on external corporate remedial mechanisms. One of the least emphasized elements of UNGP is ¶ 30’s call to develop “Industry, multi-stakeholder and other collaborative initiatives that are based on respect for human rights-related standards.” Civil society can play a decisive role in the creation of these multi-stakeholder mechanisms. It is in the interests of all civil society stakeholders, whether they represent the state, business or affected individuals and communities, to develop mechanisms that might provide movement toward effective remedy beyond the state and focused on the corporate responsibility as an autonomous obligation of enterprises. It would also advance the UNGP project to ensure that such mechanisms might aggregate legal and norm based claims to simplify the process of remediation and to reduce forum gaming. 3. The core to any success of the remedies pillar is coherence of normative standards even in the face of diversity of remedial mechanisms. To that end it ought to be a central element of civil society strategy to create incentives for the development of a single point mechanism for the elaboration of interpretations of the UNGP in real disputes. This mechanism need not have any authority to bind states or enterprises. But it ought to have authority to bring parties before it to determine the scope and extent of the application of the UNGP to particular disputes and to produce reasoned opinions explaining its positions. These might be used by local courts and other dispute resolution mechanisms—but need not be. Whether binding or not, the establishment of a single point interpretative mechanism issuing opinions on the application fo the UNGP to disputes would generate a body of work that would serve to provide a point of coherence as states and enterprises develop their UNGP based working styles. That this objective is hardly noted by any of the great stakeholder in the business of human rights is likely the greatest danger to the success of the development of an effective Third pillar. The third pillar is a powerful tool in the development of transnational mechanisms for the redress of human rights wrongs. It ought to be contextualized within the conditions of states—and not just Western states—but it also requires liberation from the necessary constraints of state based systems. Working toward the development of trans-state mechanisms for developing a quasi jurisprudence of application of the UNGP in live conflict, and for a more pronounced role for civil society as the representatives of those whose remedies may be triggered by or through the UNGP would move the system toward a more coherent and effective conceptual, structural and operational structure.